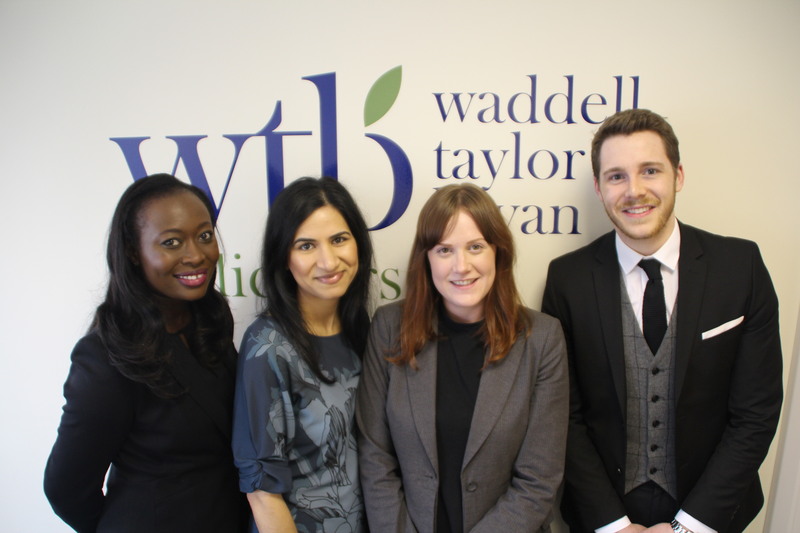 WTB Solicitors, a law firm that is committed to excellence in both delivering legal advice and client care, shows dedication to the development in adding new staff to aid their progressive and ambitious outlook. Rumbi Chihoro, a Non-practising Barrister, has shown dedication to a career in law since beginning her journey at the University of Salford in in 2006. After graduating with a degree in Business Management with Law, she decided to focus on her interest in law. She progressed not only through the GDL with a distinction in Tort, but also through the BPTC. In 2015, she was called to the Bar. Not stopping there, Rumbi has focused on cultivating her passion for Costs whilst gaining four years of work experience in Costs departments for several firms and has now joined the Costs department of WTB to continue in her development. After completing a Bachelor of Laws degree, Majida Bashir gained a Distinction in her LPC from the College of Law in London. In 2013, she not only completed a LLM in Criminal Litigation but also qualified as a solicitor in the same year. Since leaving academia, Majida Bashir has already gained three years of experience working in real estate dealing with residential conveyancing sale, purchases, shared ownership of properties, auctions and investor portfolios. Majida has been an Executive committee Member of the Haldane Society. She has joined WTB, bringing her wealth of knowledge and experience to the busy property department to progress her career further. Leonie Harris has been working in Manchester in the legal profession since 2009 after graduating with Honours from the University of Manchester. Leonie started as a paralegal whilst undertaking her law qualifications, the GDL at the College of Law in Manchester. Having gained over seven years of practical experience, she has an in-depth knowledge of the law. She qualified as a solicitor in 2016 and has experience in a broad spectrum of family law issues and has joined WTB to bolster the family department and works in both the child care and private law family teams. Finally, whilst studying Law at Swansea University, Philip Waring gained over two years of experience in Marketing in both online and offline methods. He now looks to combine his passion for marketing and business with his interests in law to help strengthen and further develop the team of WTB. Philip brings a head for business and creativity to assist WTB’s goals as being a progressive and dynamic firm that seek to revolutionise the industry.